The hard part is yet to come. 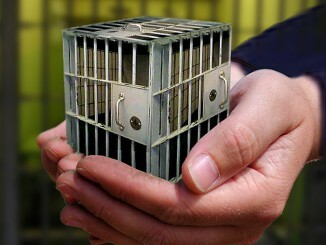 When and how does the government propose to change the laws and regulations to do with bail and parole, both of which remain key drivers of New Zealand’s bizarrely high – and economically unaffordable – rates of imprisonment? And how does the government propose to re-assure the public that such changes will (a) not put them at undue risk but will instead (b) enable the same resources to be spent on far more constructive community needs? Already, National is beating the drums of community alarm at the prospect. In response to the Waikeria decision, Corrections spokesperson Mark Mitchell has been stoking public fears at the possible release on bail of people “ who should be in prison”. So much for Sir Peter Gluckman’s hopes that New Zealand can have a evidence-based debate on prisons, and come up with a rational prison policy that weighs all of the social and economic costs (including the opportunity costs) of locking up vast numbers of people at rates far in excess of what happens in almost every other developed country outside the United States. National’s stance – and its readiness to play the fear card – is depressing. Afer all, it was the populist law’n’order policies pursued by National (including the ‘three strikes’ policy that its Act Party colleagues imported from the United States) that helped to create the current prison overcrowding problem in the first place. While it is up to Her Majesty’s loyal Opposition to oppose government policy that role, surely, also includes an obligation to put up opposing ideas. Yet on prison reform, National appears to have no alternative solution apart from continuing down the same ruinous American road of fuelling the prison-industrial complex. This process consists of inviting corporates to invest in prison building, and then ensuring that official law’n’order policies will generate a steady supply of inmates to fill them. Ultimately, taxpayers can be relied on to foot the bill, provided they can be sufficiently motivated by (largely irrational) fears to do so. Labour and the Greens say they want to break that pattern. (New Zealand First can’t seem to grasp that there will be less money for hip operations if it clings to the three strikes policy at all costs.) There is talk of the coalition government putting more funds into rehabilitation, literacy, work skills and (in some cases as required) into mental health care. These are very long-term processes, though. In the short to medium term, the problems of overcrowding will persist. So, apparently, will the pernicious practice of double bunking, albeit within the bigger cells that the new Waikeria will provide. The only successful relief for overcrowding though, will require changes to this country’s bail and parole laws. The rules that have reduced the eligibility for bail at one end of the prison process, while also raising the ratio of sentences that must be served at the other, must be reviewed, and have to be changed. This surely, is the only immediate source of relief to the overcrowding problem. Earlier this week, this column pointed out that there are nearly 3,000 remand prisoners within our current prison intake, alongside the 7,443 who have actually been sentenced for a crime, for a grand total of 10, 394 prisoners. Other countries (outside the US) manage to exist in relative safety with having more people out on bail, and with shorter sentences for less serious offences. Meanwhile, we are currently imprisoning people at a rate of 220 per 100,000 when the rate for Ireland (which has almost exactly the same population) is only 82. The coalition government will run the new facility at Waikeria, but it will – reportedly – be funded by a public-private partnership. While it is re-assuring that the state will control the Waikeria prison management (including the staff-to-inmate ratios) it remains to be seen just where and how the profit incentive will be extended to private sector players, to motivate them to participate in this venture. Where’s the profit to be made, if it isn’t to consist – as Serco showed – in slashing the labour costs via unsafe staff-to-inmate ratios? Overall, the political advantage that PPPs offer to any government is that they serve as an accounting fiction, by shifting at least some of the costs off the government’s books. On overseas experience however, PPPs also lock taxpayers into arrangements with the private sector that can endure for decades. Commonly, these arrangements end up being far, far more expensive than if governments had picked up the tab in the first place. Unfortunately, we may never know the real score. Because another pernicious aspect of PPPs is that the alleged “commercial sensitivities” involved will end up hiding the contractual details of just how (and for how much) the taxpayer has been put on the hook. As I said, the easy part was deciding to build a smaller Waikeria. Everything else is fraught with political and socio-economic risk. Unfortunately, Corrections Minister Kelvin Davis is not the Cabinet’s safest pair of hands – and neither is he the government’s best salesman of new and controversial ideas. Even on its terms – de-nuking to be rewarded by the lifting of economic sanctions – the Singapore deal looks far, far worse than the Iran deal, which had built in strict steps towards de-nuclearisation, and solid timetables and external inspection and verification procedures. Nothing of that sort is even mentioned in the allegedly “comprehensive” Singapore agreement. Regardless, North Korean media are already reporting that Trump has pledged to lift economic sanctions. Simultaneously South Korea has been thrown under a bus, in that US/South Korean military exercises are being suspended without Seoul being consulted, or even advised beforehand. At his press conference, Trump cited the cost of flying US planes from Guam, and suggested that South Korea wasn’t playing its way. Or doing its bit on trade. So much for the 60 year alliance with South Korea. North Korea is not alone in thinking that for now, the US has simply caved in. As many have noted, the Singapore agreement’s key commitment to “work towards the de-nuclearisation of the Korean peninsula” is almost entirely meaningless. “De-nuclearisatuon” was a convenient weasel term coined 25 years ago and it has been flouted by Pyongyang ever since. It is also regarded by North Korea in exactly the opposite way that the US regards it. To Pyongyang, the “de-nuclearisation” term is code for the US dis-engaging itself from the defence of South Korea, and that impression has already been re-inforced by Trump’s unilateral cave-in over military exercises. Having done his best for Putin at the G-7 to destroy the West’s alliances in Europe, Trump is now seeking to unravel the existing defence pacts in the Asia-Pacific, while taking the payoffs from China. Such a payoff has already been made by China for Trump’s business deal in Indonesia, and for his daughter’s trademarks in China with more pending. In turn, Trump has reciprocated by offering regulatory relief to the Chinese firm ZTE as [art of his newly found enthusiasm for saving Chinese jobs. Reportedly, Ivanka Trump and her husband have made $82 million last year, while still being on the White House public payroll. I think he [Kim] will do these things. I may be wrong. I may stand before you in six months and say, hey, I was wrong. I don’t know I’ll ever admit that. I’ll find some excuse. Footnote: Besides the American people, South Korea and Japan, the big loser from the Singapore summit was Iran. With North Korea off the radar as a threat to US interests, Iran is now in the uncomfortable position of being the Last Man Standing, of those countries that comprised the original US axis of evil. If it made accidental war with North Korea less likely, this week’s Singapore summit made the intentional US war with Iran far more likely. Not-co-incidentally, the Saudi-led coalition yesterday launched a fresh military onslaught against the civilian population of Yemen, where its efforts have already put eight million people at risk of famine. Trump is such a useful distraction, at home and abroad. Before I can change my clothes?